Allow a Native Floridian and a full time Fort Lauderdale real estate agent since 2002 help you in your search for Fort Lauderdale Homes, Condos, Multi-family and Lofts in Fort Lauderdale, Wilton Manors and the surrounding cities in all of Broward County. I’m also an Accredited Buyers Representative. Having a background in project management and a BS degree in Computer Science. My Fort Lauderdale realtor team and I know how to manage the most important project most people will ever undertake – finding their dream home. My Fort Lauderdale real estate team specializes in residential Real Estate in the Fort Lauderdale areas and specialize in waterfront property. I’ve lived in the greater Fort Lauderdale area since 1991 and born in West Palm Beach, Florida. Tell me your preferences for where you want to live, neighborhood styles, shopping areas, entertainments options, what makes a house a home to you, then let my Fort Lauderdale real estate team go to work. Benefit from my Fort Lauderdale realtor teams years of experience and expertise in this ever changing marketplace. 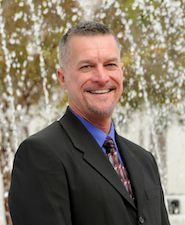 My Fort Lauderdale real estate agent team members provide you with a Superior level of Real Estate service that allows you to relax a little bit during your search for Fort Lauderdale homes, condos, townhomes, multi-family or lofts in the greater Fort Lauderdale areas including Wilton Manors, Florida and all of Broward County cities.